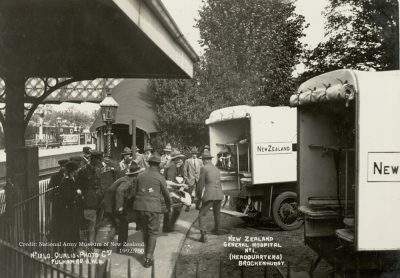 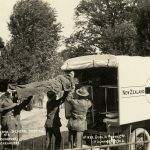 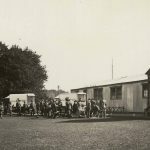 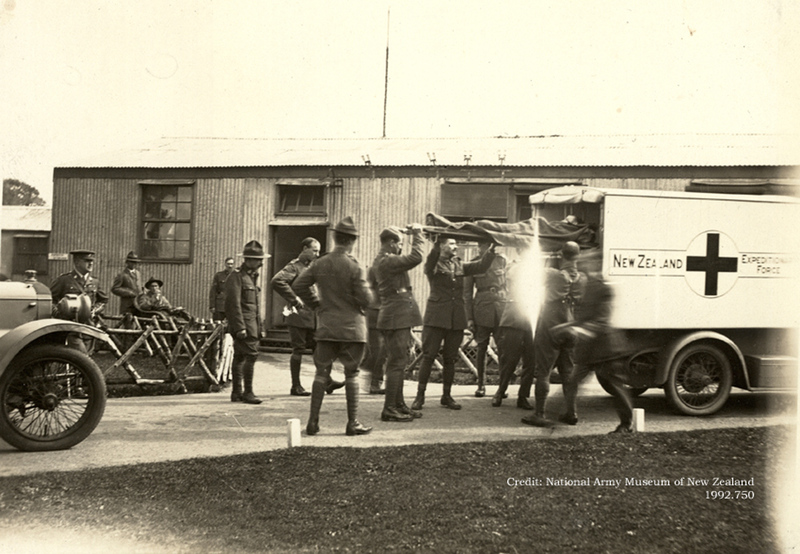 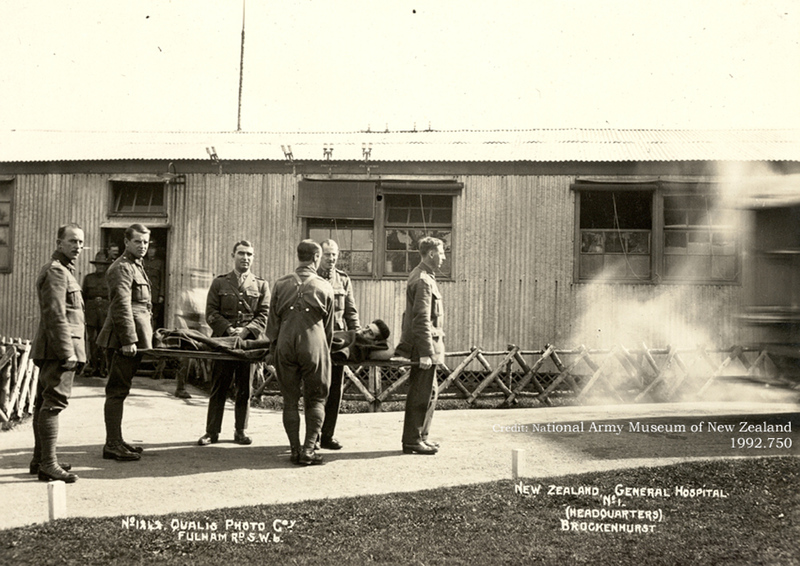 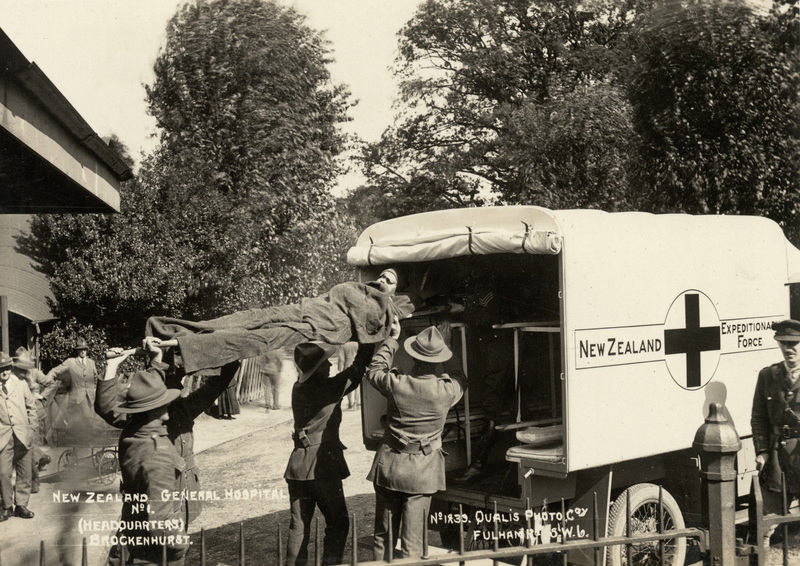 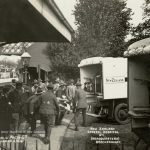 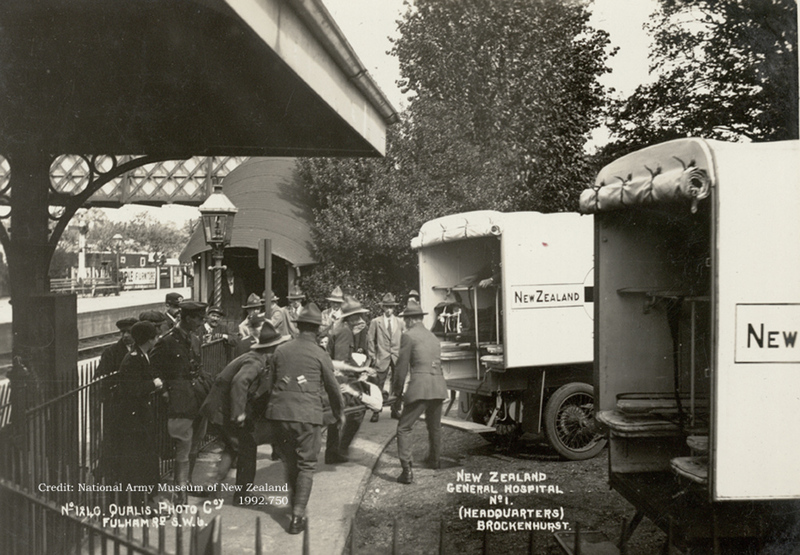 A series of staged shots from a photograph album possibly compiled by 4/386 Major Henry Masterton Clark depict the work of the ambulance service at the No1 New Zealand General Hospital, Brockenhurst. 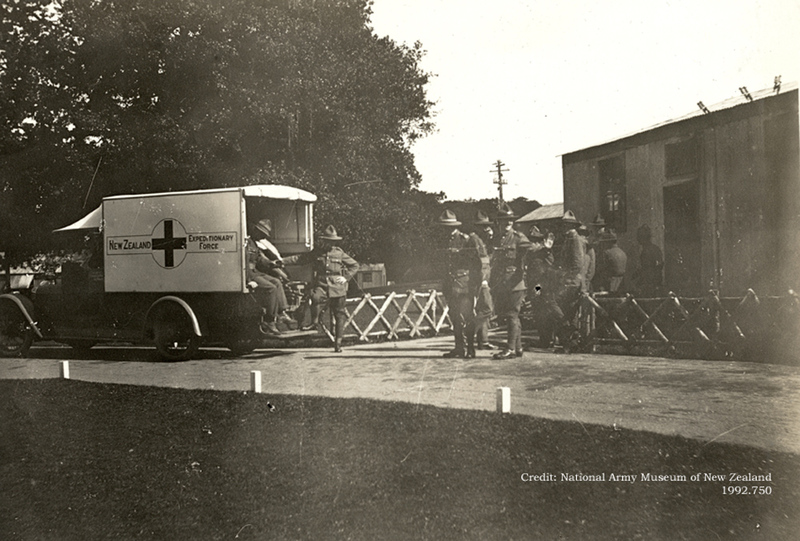 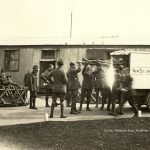 The first photo depicts the wounded soldier arriving at Brockenhurst Train station and being loaded onto an ambulance. 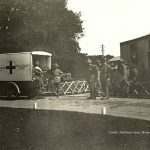 The woman in uniform next to the officer is a member of the British Women’s Auxiliary Service and one of its functions was the drive ambulances in non-combat areas to release manpower. 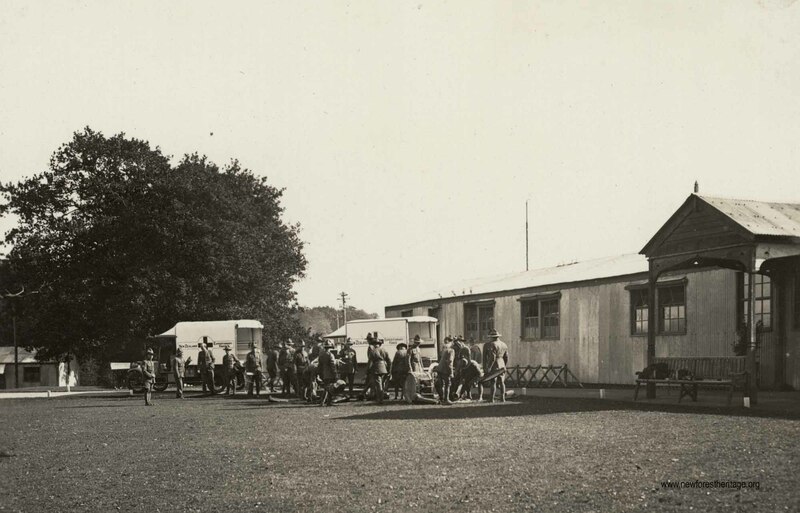 The ambulance is then driven to the Ambulance Station which was located across from the main hospital headquarters entrance where patients were unloaded onto one of the wards or then moved to one of the many satellite sites such as Balmer Lawn or Forest Lodge. 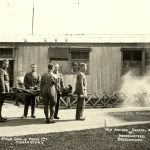 This contribution is provided by the named author through the New Forest Knowledge contribution page.